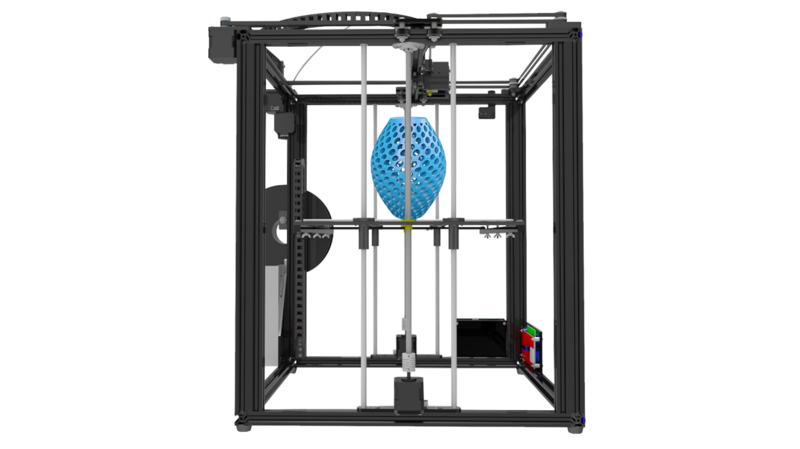 Ok Scott here again This time I'm going to start with another basics the parts and terms commonly used in 3D printers. I plan on adding images to most ares but until then I figured this will be a help for some of you. If you have more to add feel free to send me a message or email. I have not added printer layout types and not done delta terms yet but I will get there. Frame – Holds the full printer together. This can be metal, acrylic or even wood. 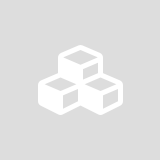 X axis motion – movement on the printer from left to right. Y axis motion – movement on the printer from front to back. Z axis Motion – movement on the printer up and down. Extruder – Takes filament from the spool and pushes it to the hotend. Awesome read!! 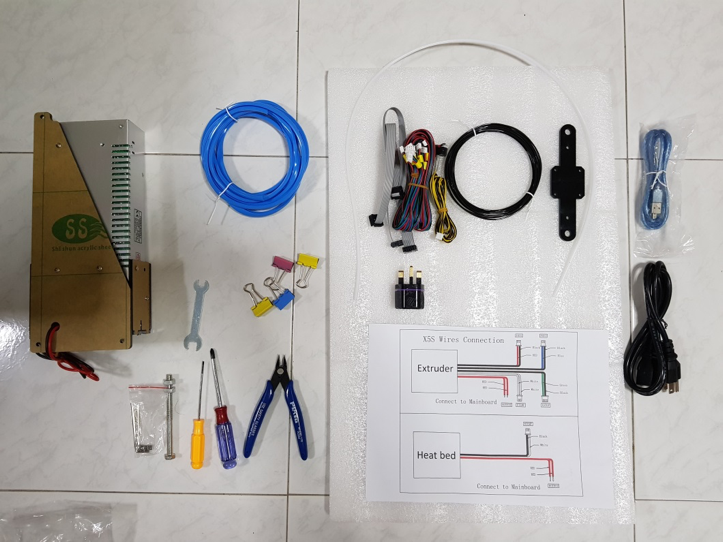 Keep it up, this should help clarify the parts for better troubleshooting! 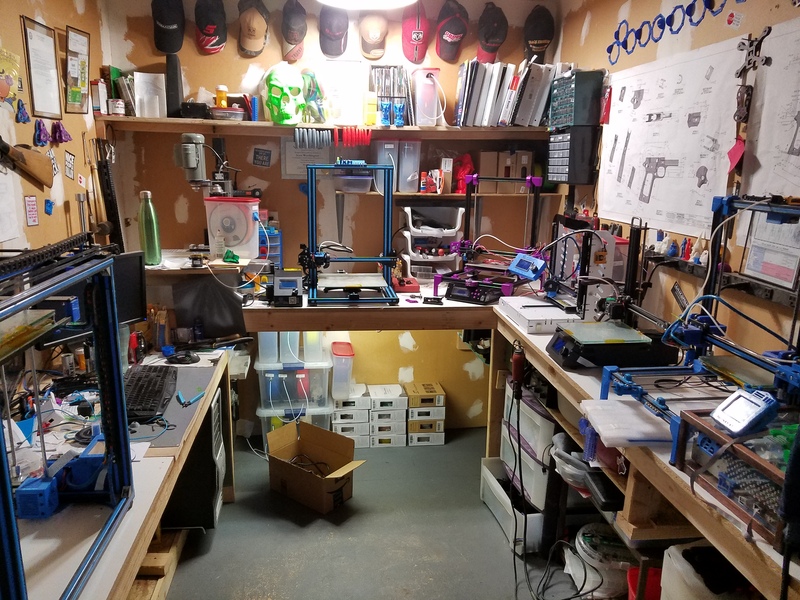 OK so Scott here again and while I have been busy working on getting my new office / lab around I figured I would take a little time to put together a new short article based a few of my facebook post as a way to help the community tune their printers and speed up their prints. one thing to remember is even if you have 2 printers brand new out of the box exact same make model everything both will need their own tune because of the variance in each part or piece in the printer. When it comes to tuning it should be the exact same steps to tune the X5S as an I3. Thanks Scott for your help. Over the last few weeks there have been posts on social media relating to fires being caused by 3D printers. OK Scott here again like normal. A lot of people have asked me to do reviews or feedback on different printer or ask me what I think of a new printer out and while I can give my overall view of the new printers as to what I can see being good or bad about them I can not and will not do any true rundown on any printer or product I have not used. With that said I have offered my thoughts on several printers that I do not own but please always keep in mind it's only based on what I see.... while I have other printers I’m not going to include them here as one is no longer on the market and the other is custom built by me (still in process). OK Scott Here again. I keep getting asked what parts I use on my printers so I figured I would build a list. starting with general parts. Now this list is just for the printers I have. I’ll also add notes about each as I build the list. Now this is by no means all the parts I have on my printers as some of them I don’t have links to some are prototypes of my own design and some I just didn’t think of it’s also not the only options for these designs as I’m sure most of them have copies or versions out that might work better for each person. I will try to update this as I find or design other parts. Or if you know of something worth adding to the list let me know. A PostProcessingPlugin Script is an easy way to modify gcode before it gets written onto disk. A Python script is executed and handed over the full gcode. The script is expected to return a gcode as a list of lines. Ok So Scott here again recently I started to hear a noise coming from my power supply unit (PSU), so I decided to replace the fan with a quiet one. I choose to use a mini kaze (60mm) fan to keep it quiet as well as work well to keep the PSU cool. Normally I start by showing you tools needed but in this case all I needed was a screw driver so I’ll skip that step and add in a the normal caution to make sure the PSU is turned off and unplugged. Ok so Scott here again lately I have been seeing a lot of post and comments about the factory Tronxy hotend so I figured I would go ahead and write up a quick tech article. While this is not the only way to rebuild or assemble the hotend assembly this is the way I do it. This also works on the E3D hotends I have but the throat is different on them. So let’s start with a few tools. this part of the site does not have a upload options. the forum does. You can customize the beginning and ending code that your slicer adds to the gcode files it produces to automate certain tasks or produce a more desired behavior. Below are suggestions for these codes. For a list of gcode commands and their usage continue to the bottom of the post. This tutorial will help you flash some real firmware on to your stock TronXY X5S control board, using a separate Arduino Uno board as the programmer. It’s not meant for any other board, period. Just the stock one specifically. No others. If you try it on a different board and it doesn’t work, don’t say I didn’t warn you. I posted a copy of my full firmware in the downloads area of the forum. so no need to edit the files or anything. but can cause problems when users decide to modify or upgrade, repair their printer. Well Seeing as How I’m new to writing articles like this and this is the first one I have had published anywhere I am going to take a second to introduce myself a little. My Name is Scott; I’m 38 married with four kids, and an Air Force Veteran, I have my associates and bachelor degrees. I also have an electrical and computer numeric controlled (CNC) background. I have two CNC mills as well as a CNC lathe and two 3D printers, which is what brought me here. Over the past few months I have started to see more and more questions about setting up and also tuning various 3D printers and their options. These articles will not be published in any order. They will cover whatever comes to mind at the time that I sit down to write. I tend to write the way I think and speak in my everyday life I am straight forward and NONE of that “you must do things this way”……. I will simply be writing how I do things right or wrong, it works for me and I hope it will work for you as well. Very comprehensive article. Skimmed some as its getting very late here, but should certainly be useful. Keep 'em coming.